Send your brand skywards with this great opportunity from Ink. This is your opportunity to showcase your brand amongst this luxury travel magazine, with an ABC1 audience of 12+ million per month! An affluent and aspirational market with their holiday heads (and wallets) fully on board. 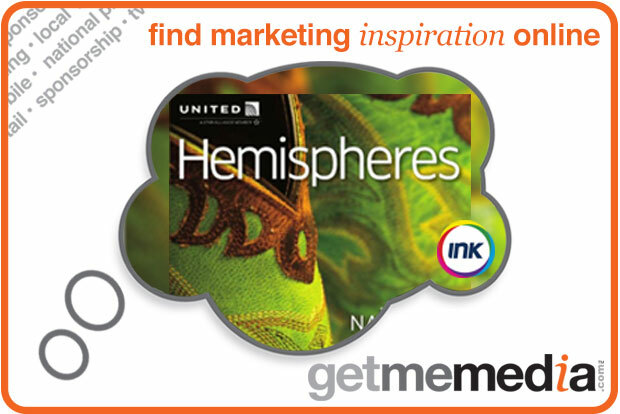 Hemispheres, the inflight magazine for United covers everything from travel and technology to food and luxury goods. Ink’s opportunity offers many integrated solutions, including print advertising in the magazine, interactive adverts in Hemisphere’s iPad App and features in e-newsletters, which reach customers who want to stay connected even when their feet are firmly on the ground. This fantastic coverage helps luxury brands such as Wellendorf Jewellery, Ritz-Carlton and Wiffle Tournaments regularly – readers spend 26.5 median minutes reading each Hemispheres issue, which is 11% longer than Conde Nast Traveller magazine.